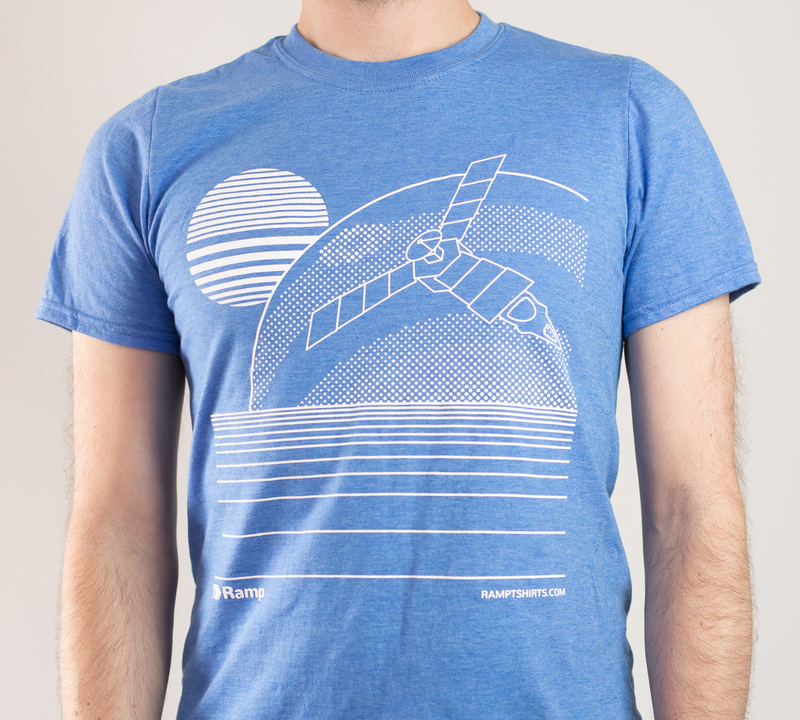 Adam Chard at Croatoan Design made this great t-shirt design exclusively for Ramp and features a bespoke geometric design. These are our Standard shirts -the Gildan Softstyle in Heather Royal. The design is high quality screen printed in white. They’re strictly limited edition. When they’re gone we’ll be replacing them with another guest design. 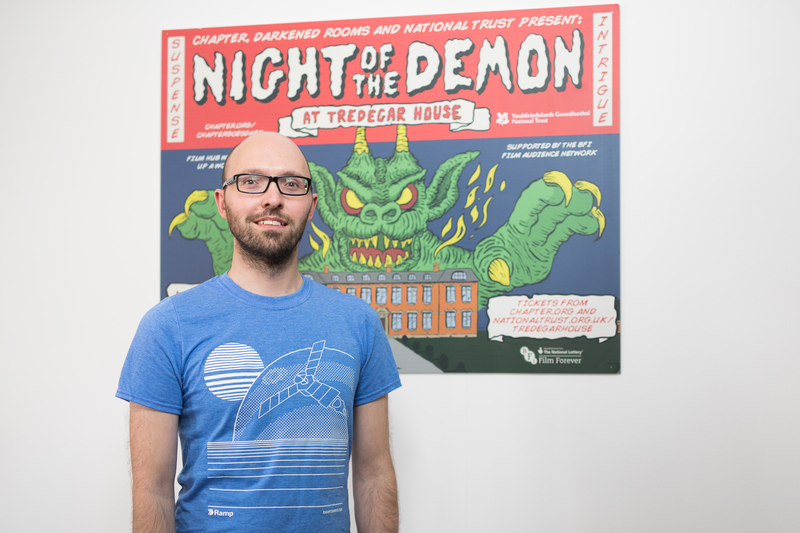 Here’s Adam wearing his own design (in front of one of his own poster designs for a classic film showing at a stately home). Our 2nd Limited Edition T-shirt designed by Croatoan Design. The ONLY way to get one of these beauties is to place an order at http://ramptshirts.com – what are you waiting for? Previous Previous post: ClickFunnels use free t-shirts to get more users! Next Next post: September T-shirt competition. Free custom t-shirts for your team, startup or event!